I got a little worried about my idle after reading that below 1k would starve the top end from oil so decided to do a quick check. 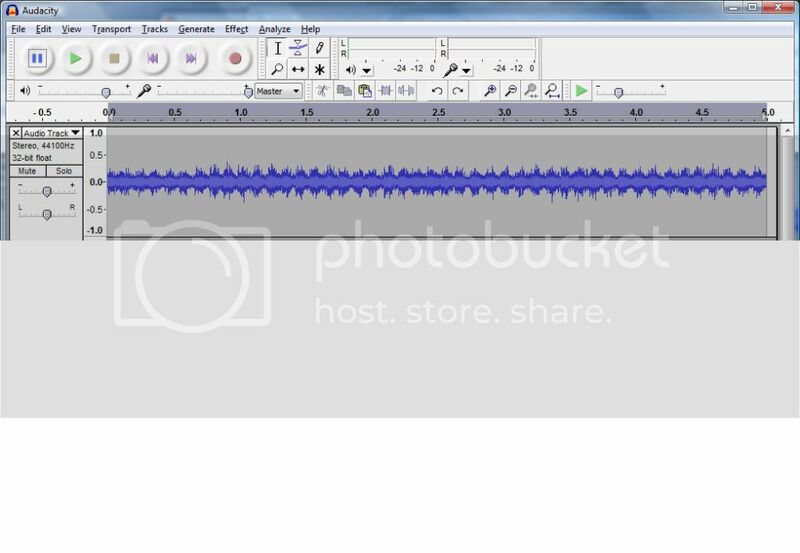 I loaded a good free recording app on my laptop called Audacity http://audacity.sourceforge.net/ and recorded a short bit. Counted 45 cycles/5 sec= 540/min X 2 (for spark every other cycle)= 1080 rpm...its all good. (I couldn't figure how to easily get an mp3 file linked here or else I would have included it - it there a way?). Surtees, You claim "45 cycles in 5 secs", do you mean "45 thumps in 5 secs" ? As in "45 power strokes" ? Mikuni BST40, K&N filter, Stage2 cam, Verslagen tensioner, Sportster muff, 120 proof moonshine, Pirelli MT 66 tourers... and a chain conversion too ! Once a few degrees in advance of TDC on the compression stroke. And again simily advanced of TDC on the exhaust stroke. 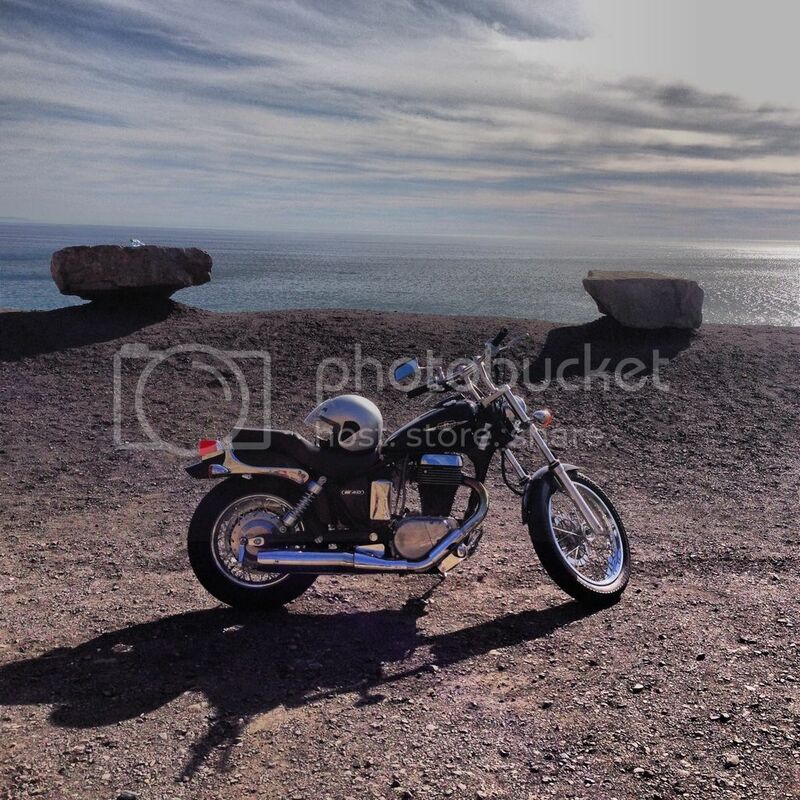 Unlike a 2 stroke, there's nothing to burn. So no ringa ding ding. So number of pulse times 2 is correct. thanks Verslagen for stepping in. Had not checked this for a while. The spin twice pop once threw me for a sec as well. Nice little trick! I tried this today but got a pretty noisy signal. Any pointers on where to position a (crappy) cell phone microphone to get something I can easily count? Is there a YouTube clip of a Savage that has a nice example of the *right* idle speed? Can one of the moderators/experts make a permanent link to a video so we noobs can get it right? For a bike that has two revs per explosion, does a 500bpm click track give a tempo for 1000rpm? Got it off Google Play, it's called "RC Tachometer - True RPM"
Lots of settings for RC planes and such, but also for car/motorcycle engines. You set the min and max RPM range, # of strokes (2 or 4) and enter the number of cylinders and press start. It does the rest, and it's accurate! The best part... it doesn't require 1,000 different permissions to operate, just the camera/mic on your phone. I can tell you EXACTLY what it feels like to get hit by a truck. I do not recommend anyone try it themselves. As Gyrobob stated there are apps that can be used for this sort of thing, however they are not the easiest thing to figure out. I spent loads of time trying to find an iOS app that worked for measuring rpm to no avail. Then after reading through this thread again the whole metronome thing dawned on me. You have to set the time signature to 16/32 and tempo to 500 bpm and BOOM you have 1000 rpms to listen to. I just checked the consistency with the link verslagen posted as well. Complete click track harmony. Now you just have to whip out your phone to check your idle rather than go to youtube or whatever else we band of hoodlums have tried. If you have a guitar, keyboard or other musical instrument, 1000hz is very close to a B. 500hz is B an octave below. You can hear the B when you are at the right spot. 1000rpm is a steady, smooth, alert-sounding idle. It's well above any uneven thumpin-and-bumpin. '87 LS650, purt near stock, Raptor, seat mod. '07 S40, Raptor. Can running with an inappropriate idle damage the bike? When you need something and have limited resources be creative. Consensus here is, too low an idle speed produces bad oiling and top end wear. Worse when the bike is leaning on the side stand. You don't want an uneven Harley potato-potato sound on yr. Savage. I don't worry too much about knowing the actual idle speed. You can hear it when it's right. It's just a smooth putt-putt-putt... Too high of an idle won't hurt anything as long as you don't idle at 3000 or something. Too low and you will destroy your engine. My throttle cable got stuck at the carb and wouldn't return to the normal idle setting. I couldn't get my fingers in there to fix it so I just rode home with the bike idling extremely high. I had to sacrifice the clutch a little at red lights to keep the idle down enough to not blow up the engine. When the light turned green I would just ease off the clutch without giving her any gas. I could get to 35 mph or more without ever touching the throttle. Luckily I only had to ride about 3 miles this way. I got her home and loosened the jammed cable with some pliers. There's no problem that a full tank of gas and a sunny day can't fix! TC, That was a touchdown! I spent hours looking for an audio tach for the iPhone until I came across your post. Thanks! Being a musician, guitar player, and S40 owner myself, I don't quite follow how 1,000 cycles per second (aka Hertz) equates to 1,000 revolutions per minute. Please elaborate.